We priced our cart to pay for itself after 1 putter sale per month. The cart is designed with an easy access drawer system which fits seamlessly into our Staff Bags to accompany our modular fitting system. With our cart you may easily switch between head & shaft combinations ensuring your client has the best fitting experience possible. You may either build the club in-house or you may place an order from us and we will fulfill the order within 5-7 business days. 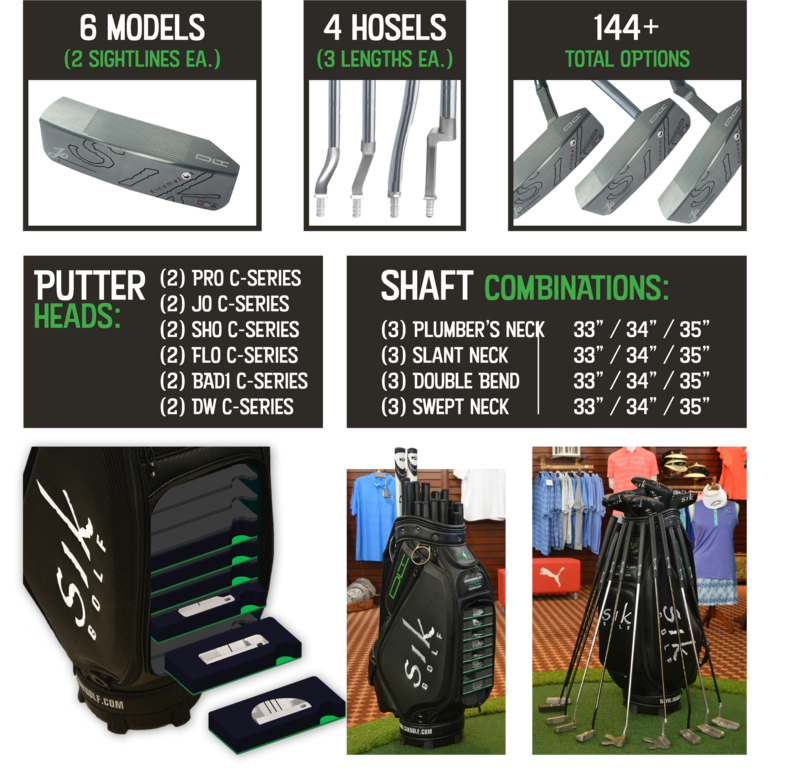 As a licensee of our fitting cart you may order putters at wholesale without satisfying any minimum inventory requirement. Once you fit your client you may use the online order form available on our website.